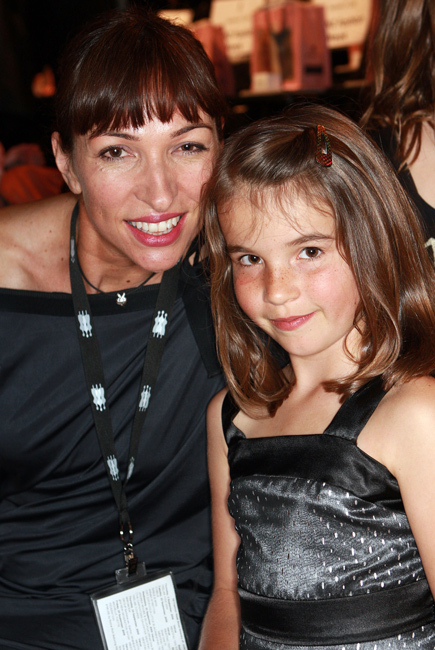 Julie Roulston with her daughter Gaby at New Zealand Fashion Week 2007. Image supplied. 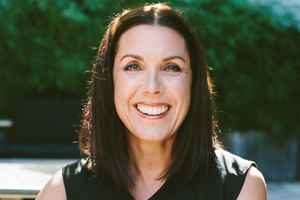 Former editor and sales manager, Julie Roulston, started out at FashioNZ in 2000, as the Auckland-based salesperson helping founder Nicky Wagner who was based in Christchurch. 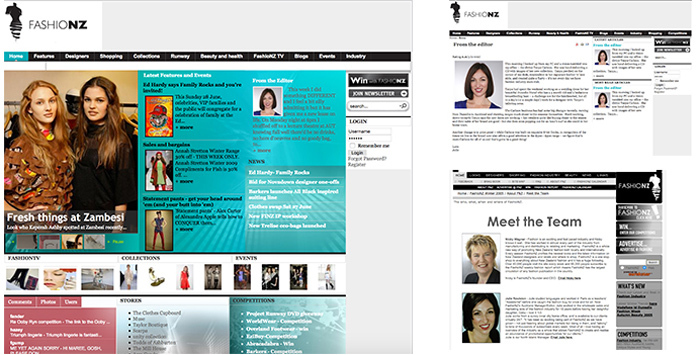 Julie was instrumental in FashioNZ’s early success and growing the site as an online fashion leader which saw her take the reins as editor until 2010. She later returned to the site as editor at large from 2012 – 2013 and her support and knowledge have been invaluable to FashioNZ. 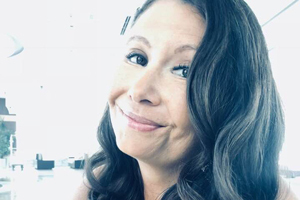 We caught up with Julie to find out more about her time as FashioNZ’s editor, the best advice she got and her favourite fashion trends. How did you get your job at FashioNZ? After 10 years in the rag trade at Vamp and Suzanne Gregory, I was a stay-at-home Mum with a five month-old daughter. 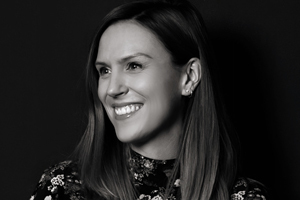 Nicky Wagner, FashioNZ’s founder, asked if I would like to be a part time, commission only rep in Auckland – as she and the company were based in Christchurch. I hadn’t thought to go back to work at that stage but it felt like a once-only opportunity – you could tell that technology was about to move fast. What can you remember of your first day at FashioNZ? Only that Nicky would have been passionate and compelling! I do remember us going out to someone’s unglamorous fashion company premises to try to sell them online pages on FashioNZ, when they didn’t yet have e-mail. This was in 2000. Julie Roulston with Paul Blomfield (left) and Janelle Brunton-Rennie (right). What were the best things about your job? Travel to events. Things like the Malaysia-Asia Fashion Week in Kuala Lumpur, Melbourne Fashion Festival, and lots of trips to Australian Fashion Week in Sydney over the years. Can you tell us about your time as editor? Our challenge was to sell and publish advertorial so we could pay the rent, while developing editorial credibility so that brands would want to work with us and people would want to visit us. It was hard. No-one knew quite where to put us. Nicky was running for parliament, I worked part-time from home and everyone else was based in Christchurch. But we had an awesome head start because Nicky had been such a pioneer. Only nzgirl shared similar email subscriber numbers. For a long time we were New Zealand’s most visited fashion website and we earned some really good display advertising dollars before Nicky sold to Digital Partners, and in our early days with that company. What was the best piece of advice that you got? One that stands out was from my friend Julian Andrews, then brand manager for Urbis magazine. He said, “if there’s not enough business for all of us, we might as well not get out of bed.” Twenty years ago the industry was far less cooperative. Julie Roulston at an Ecco shoe event Circa 2009. What were your favourite trends you saw? J Ho ankle-length georgette pleat skirts. I never had one but they looked SO good on the girls that wore them early. Karen-Inderbitzen Waller’s styling (mid-length socks and boots with everything). MAC Morange lipstick. Leather and denim remarried at Helen Cherry/Workshop, launched at NZFW in 2011. Clean/uncluttered. Feminine. Design-conscious. Practical. Comfortable. Fit is really important to me. Who are your favourite New Zealand brands and designers? For me personally – Karen Walker, Zambesi, Kate Sylvester, Helen Cherry/Workshop, WORLD, taylor, Juliette Hogan, Ingrid Starnes and Hailwood. I’ve been wearing some lovely things from my friend Chris Hales’ Wellington-based label and store Goodness, too. Some of the evolution of FashioNZ during Julie’s time with the site. Screenshots via Wayback Machine. What was New Zealand Fashion Week like for you? The best of times, the worst of times. From front row, champagne in hand, to working round the clock to be the first to file; from standing outside an offsite show with a ticket, watching everyone I had ever met be let in in front of me, to hanging out with VIP international guests. I’ve been to every New Zealand Fashion Week bar one. 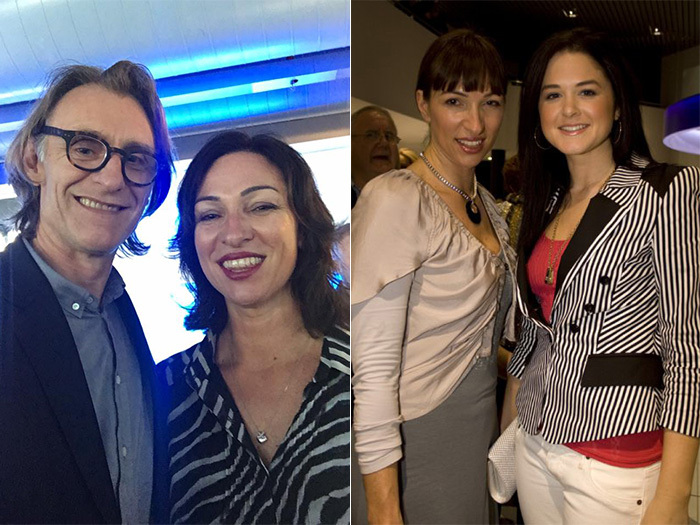 It’s a cliche, but Dame Pieter and her team changed the face of fashion in New Zealand. What are the most significant changes in technology/fashion since you were at FashioNZ? Everything. Email. The net. Digital photography. Social media. Fashion showrooms. Fashion PRs. Shopping online. The end of four seasonal drops a year. Fast fashion. The proliferation of international chains. Since we’re celebrating FashioNZ’s 20th anniversary this year, what is your favourite fashion item of the past 20 years that’s still in your wardrobe? One?! How about a Karen Walker ‘Society of Bright Young Things’ scarf – the only thing I have ever hid from my (then) husband on buying. We were very broke at the time. Or a hand-pokered Saben bucket bag made of wood, circa 2002. A loan to carry at New Zealand Fashion Week and subsequently gifted to me. Or a black wool Suzanne Gregory jacket, designed by Vicky Taylor when she was their very young, very beautiful, remarkably assured designer? Or a WORLD black sequined evening capelet with a beautiful floral silk lining? I have chuckled a lot this winter thinking that the legacy of a couple of decades worth of media events and New Zealand Fashion Weeks is a collection of mighty fine socks! 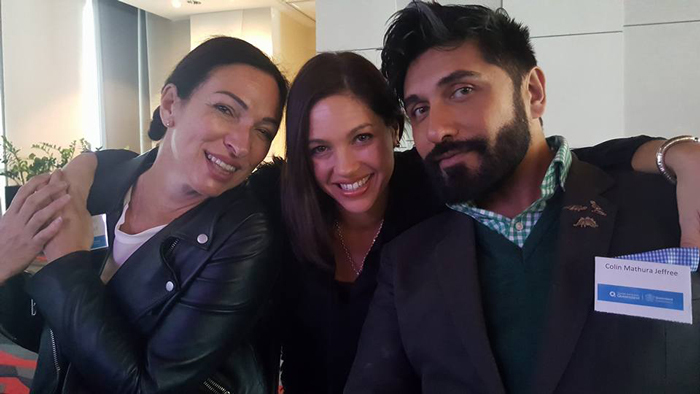 Julie Roulston with Anna Jobsz (centre) and Colin Mathura Jeffree (right) in 2016. For about 18 months I’ve been contracting to Auckland Council as a content editor and writer. To my surprise and delight I love it. The most diverse environment I’ve ever worked in, bursting with lovely, talented people. 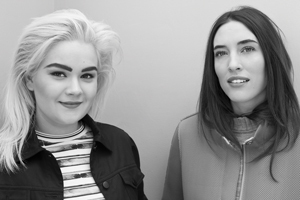 Where do you see the future of fashion in NZ? I don’t have a view any more. 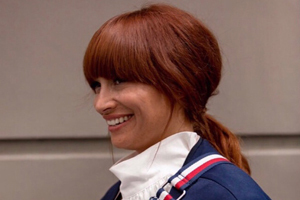 But I’ve long believed that women in New Zealand are better to buy one local designer piece each season, even if they have to buy second hand, than a bunch from the chain stores, I have every confidence that our best brands will continue to provide interesting, enduring design and beautiful quality. A survivor. A bit of a phoenix. Driven by a love of fashion and a desire to succeed in business, as it was at the start.